The team of aesthetic experts at Skinbetter Science has been developing comprehensive formulas that work against the effects of time. They have perfected products that help keep skin looking young without surgery or needles through cutting edge science and innovation. We are excited to announce that our SPA has paired up with Skinbetter Science in order to provide you with the most advanced and effective in skincare anti-aging treatments. Through offering this line at our SPA, we hope to share the brilliant benefits of Skinbetter’s products in conjunction with our own skincare services. The Intensive Treatment for Lines formula is designed to quickly minimize the manifestation of deep wrinkles and expression lines. This revolutionary product, which is rich in hyaluronic acid, binds skin and water to create a strong resistance to wrinkles and lines. This miracle worker should be applied to clean, dry skin in the morning and at night in order to completely and effectively rejuvenate the skin. The Daily Treatment Face Cream formula was created to restore five different types of collagen in the skin. This lightweight formula works to keep skin soothed, hydrated and glowing. Apply to clean, dry skin in both the morning and the night. To reap the full benefits of this product, use it with the Intensive Treatment for Lines for a complete approach to collagen conservation. From October 14th thru October 24th, we’re giving you the opportunity to share your skin secrets with us for your chance to win both the Smoothing Intensive Treatment for lines and the Soothing Daily Treatment Cream for face by SkinBetter Science, which is retailed at a value of $220! Share a photo to either Facebook or Instagram, and caption it with your go-to skin tip, being sure to use the hashtag #SHAWSkinSecrets. Ready, Set, Win For Your Skin! Arizona’s dry heat is no friend to the health of our hair. Not to mention, the idea of continuously spending time and money at the hair salon for chemically made conditioning masks isn’t ultra appealing either. Luckily, there are a few at home remedies that can help with naturally conditioning dry hair. What doesn’t coconut oil help with? From being a healthier oil to cook with to an excellent skin moisturizer, coconut oil does it all! In addition to all of its other miracle purposes, it’s even used to help strengthen and condition hair. Apply the oil in its liquid form to damp hair, and leave in for approximately an hour. Wash the oil out while still in the shower, and appreciate your healthy, renewed locks once dried. Both eggs and avocado are considered to be superfoods. However, not only are they filled with a multitude of health benefits, they are also great for moisturizing hair. All you’ll need is half of an avocado and two egg yolks. Mix the two ingredients together well and then apply to wet or damp hair. Let it sit for about 20 minutes, and then wash out for silky smooth results. Honey in your hair? Who would have thought! Mix one-teaspoon olive oil with one-tablespoon honey and a fourth of a cup of plain yogurt until all of the ingredients are blended together well. Apply the mixture to damp hair, and leave it in for about 15 minutes before you wash it out completely. These two ingredients are the couple of the year for your hair. Mash up half of a banana and mix with one teaspoon almond oil. Apply this mixture to the bottom half of your damp hair, and let sit for about half an hour, then wash. The proteins and thickness of the banana will help to protect your hair, while the oil works to add moisture and soften your mane, rendering it far healthier than before. No one wants to deal with mortifying waxing experiences, messy at-home creams or last minute bikini season shaving. When it comes to removing unwanted body hair, laser hair removal is both an effective and long-lasting solution. The SPA at The SHAW Center offers the Lumenis LightSheer Infinity for 75% faster treatments than the average hair reduction session, and it can be used on all skin types. There are a few things you should know before setting on your way to a silky smooth lifestyle. Laser hair removal works best on dark hair and pale skin, so if you’re tan the effectiveness of treatments can be hindered. When your skin is tanned, the laser has to be reduced, which can render it less effective as well. Additionally, you’ll need to keep your recently treated areas out of sunlight, so it’s best to begin these treatments during autumn or winter. We wish it only took the one treatment, but good things take time. While our SPA offers the gold standard in laser hair removal with the LightSheer Infinity, we still recommend anywhere from five to six sessions to see drastic results. If someone tells you that you can, you’ve been seriously misinformed. While our SPA is all about helping you to achieve your aesthetic goals, we’re big on safety too. There’s only a certain amount of cosmetic laser light and heat your body can safely absorb each session. Your hair follicles are on their own growth cycle, so those who see the best results will typically go in for treatment every four to six weeks in order to maximize eliminating the most follicles. This time frame also allows the dead hair shafts to fall out on their own. Our SPA is offering a free laser hair removal package when you buy the first one now through the end of September. Call our SPA at (480)767-1900 to learn more about this special. It’s unlikely that you’ll go through life having absolutely no regrets, but if there’s some you’re able to erase, then we’re all for it. Not all tattoos are timeless, and that’s why we have a solution. The PicoSure Tattoo Removal laser is the gold standard in tattoo removal, and our SPA not only offers this service but also highly experienced and well-trained laser technicians to help you achieve your desired results. Your tattoo may take more than one session to fade away and can take between 4-8 months of treatments to achieve the desired results. Also, the outcome of the treatments may vary depending on the depth of needle penetration used by the artist, as well as the color of the ink. While it is normal to experience a little pain, the PicoSure Tattoo Laser at the SPA at the SHAW Center is far more comfortable than other tattoo removal technologies. You may experience some side effects after the procedure that your technician can discuss in depth with you. It’s very important to ice the treated area when needed and to not pick at any blisters if they should arise. Be very delicate with the area after the procedure in order to ensure you won’t scar or get an infection. As with most procedures, it’s vital to feel completely comfortable in the hands of your technician. Don’t hesitate to ask any and all questions about post care and pre-treatment, and feel free to reach out to your technician after the procedure for additional follow-up questions. Whether you’re wondering how easily a certain color will be to remove or the time in which it will take to erase your particular tattoo, we have an answer. Never be afraid to ask the questions that are important to you, so that your technician can provide you with the best overall experience. What you put in your body is just as much of a concern as what you put on it. Your skin can easily absorb most products, and that’s why when it comes to cosmetics it’s essential to know exactly the types of ingredients that go into your makeup. We’ve rounded up five potentially harmful ingredients that could be living in your cosmetic bag this very minute. PTFE can be found in some foundations, pressed or loose powder, bronzer, blush and many other makeup products. PTFE provides a smooth and sleek finish, which is why it’s desirable among makeup lines. PTFE can also be disguised as other ingredients such as DEA-C8-18 or Perfluoroalkylethyl Phospate. These ingredients can be found in lip products, eyeliner, as well as foundation. Heavy metals can be added intentionally or found as contaminants. However, their presence in cosmetics is only restricted in the United States, while they are completely banned in Canada, Japan, and the EU. Talc is an ingredient found within some foundations, eye shadows and even baby powder. The primary uses of Talc are to make products appear opaque on the skin, as well as to prevent caking. Talc can pose health risks when it contains asbestos, so always search for companies that certify that their talc is free of asbestos on their websites and products. Butylated Compounds (BHA, BHT) are present in some lip products, sunscreen and face makeup. BHT typically serves as an antioxidant and preservative within makeup, food and animal feed. The American Conference of Governmental Industrial Hygienists (ACGIH) claims that there is a fair amount of evidence to conclude that BHT is a human irritant. Carbon Black can be found in eyeliner, mascaras, eye shadows and other face makeup. Carbon black that is available for commercial use contains polycyclic aromatic hydrocarbons (PAHs), which are possible human carcinogens. Carbon Black can also be identified as D & C Black No. 2, Acetylene Black, or Thermal Black and is restricted, but no banned, by the United States and the Europe Union. Aging is inevitable, so it’s important to at least be cautious of the factors that can exacerbate this process in order to stall the hands of time when we can. While some causes seem more obvious than other, such as sun exposure and smoking, there are a multitude of other under-the-radar variables that can also lead to a weathered complexion. Did you know that one of the main ingredients in perfume and cologne is alcohol? Alcohol increases your photosensitivity, which means you’re more likely to sunburn in the areas where you’ve applied the fragrance. Our necks and chests are the areas on our bodies that are most susceptible to signs of aging, so it’s best to spray your clothes with the scent in order to minimize your chances of premature aging. Juicing, the “Raw Food Diet” and the “Master Cleanse” are all examples of fad diets. Fad diets can eliminate a beneficial food group out of the mix, which means your body isn’t getting what it entirely needs. Your skin requires lots of nutrients, antioxidants and protein in order to age well. Next to water, protein is the most plentiful substance in your body. Most of us have a favorite side of our body that we like to sleep on, whether it’s on the left, right, or even your stomach. When you sleep on a particular side, your face is continuously smashed into the pillow night after night, which can weaken the connective tissue and collagen on that certain favored side. When it comes to combatting premature aging, it’s best to at least attempt to sleep on your back in order to keep skin smooth and symmetrical. Gel manicures look incredible, but the process of drying the gel polish under the UV or LED nail lamps puts your hands at risk for premature aging. Both UV and LED nail lamps produce UVA rays, so the Skin Cancer Foundation recommends applying a broad-spectrum sunscreen 20 minutes prior to UV light exposure. It’s incredibly important to remove makeup before falling asleep each night, but it’s equally as important to be as gentle as possible when removing makeup. Particularly when it comes removing eye makeup, the constant rubbing and scrubbing can cause the delicate skin on and around the eye to wrinkle and age. Always use gentle rubbing motions when removing eye makeup, and stick to an oil-based eye makeup remover that will help to breakdown the product. When you’re focused on skin health and aesthetics, it’s inevitable to run into your fair share of myths and assumptions. There are plenty of skin-related myths out there, and we feel that it’s time to shed some light on a few of those tall tales. We’ve rounded up some of the most common ones in order to debunk them once and for all. Cellulite is directly correlated to a poor diet. Cellulite is caused by a variety of different factors including, genetics, lifestyle, hormones and diet. Cellulite is also more prevalent in women than men; in fact, at least 90% of all women will experience cellulite during their lifetime. The appearance of cellulite can be reduced by regular exercise and a diet low in fat. However, even individuals that are lean and eat healthy can still experience this issue. What you eat has no effect on your skin. A few studies were conducted in the 70’s claiming that diet and acne have no direct correlation. Since then, these findings have been falsified, and it’s now been determined that diets with a high-glycemic index can in fact lead to breakouts. Acne flare-ups along the jawline can also indicate an allergy or sensitivity to dairy products. Sunscreen/sunblock is the same thing. You will age just like your Mom. Genetics play an obvious and vital role within our bodies. However, when it comes to aging, genes only a small part since so many other factors can affect our aging processes. Smoking, sun exposure, diet and skin care regimes can all transform the composition of our skin and how well we age. If mom looks great, be sure to follow her footsteps and limit sun exposure, wear a broad-spectrum sunscreen that you can reapply throughout the day, adopt a nutritious diet, acquire a simple yet effective skin care regime and don’t smoke. At one point in time, we’ve all seen a man somehow able to complete his morning/evening regime with a 3- in-one product. Judgment and exasperated sighs aside, you can’t blame the poor guy. It wasn’t until recently that the men’s skincare industry evolved beyond its usual, simple bar of soap. It’s important for men, just as women, to adopt a proper skincare routine in order to ensure aging more gracefully and preventing stubborn breakouts. We’ve rounded up some product concepts that we think are essential in perfecting the perfect men’s skincare routine. Because men tend to have thicker and oilier skin than women, they need a cleanser that removes oil and sweat without drying out the face. An oil-based cleanser is ideal for oily skin because it doesn’t entirely strip the skin of its natural oils. For men with dryer skin, a more gentle and fragrance-free cleanser would be appropriate as well. You should also wash your face every evening in order to remove the sweat and dirt that’s accumulated throughout the day. Shaving can take a toll on your skin, especially for men that shave their faces on a daily basis. By adding a moisturizer into the routine, men can ease dryness and irritation that is often associated with shaving. A moisturizer containing SPF is even better if you can manage, as it will protect your face throughout the day while helping in the anti-aging process, as well as in helping to prevent sun damage. Shaving is already exfoliating, but additionally you should exfoliate everywhere else once a week. Exfoliating scrubs will help to eliminate dead skin and dirt, which will unclog pores and prevent breakouts. Retinol contains Vitamin A, which is incredibly necessary when it comes to aging gracefully, George Clooney style. However, Retinol can be very drying, (it started out as a means to treat acne) so be wary if your skin starts to flake. Eye cream will assist with dark circles, the appearance of crow’s feet and overall puffiness in the eye area. Laser and light-based treatments have become increasingly more popular over the years as a solution to many different aesthetic goals. Laser therapy beams highly concentrated light into the desired area of treatment or problem area in order to eliminate fine lines, wrinkles, skin pigmentation and even hair! Not only can laser treatments be quick and effective, but they also require little to no downtime and are performed non-invasively. 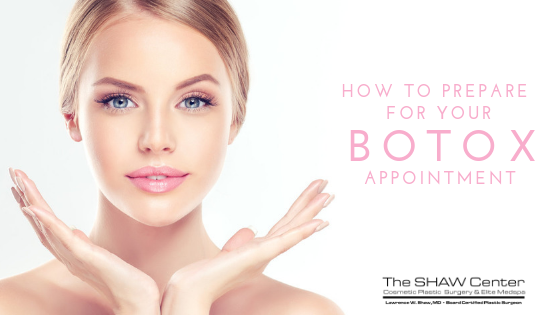 The Spa at The SHAW Center offers a variety of different laser treatment options depending on what you’re choosing to eliminate. Laser Skin Resurfacing, or a PicoFacial, helps to eliminate wrinkles, as well as restores your skin to a more youthful state. Laser resurfacing can rejuvenate your skin by removing the outermost layers, as well as firming the underlying collagen. All in all, it can help to target age spots, sun damage, scarring and fine lines. Say goodbye to the annoying task of having to shave regularly with laser hair removal at The SHAW Center. Unwanted body hair is never okay, and that’s why we offer a solution to rid your physique of it and render you stubble-free. Our lasers aim a concentrated beam of light at the area of hair, and by doing so the hair follicle absorbs the light, damaging the follicle enough to stop growth. The Spa at The SHAW Center also offers the gold standard in laser tattoo removal with the PicoSure laser. This revolutionary system can erase or change tattoos and pigments with greater clearance and 50% fewer treatments than any other tattoo removal laser. The PicoSure laser also targets difficult ink colors, such as blues and greens.